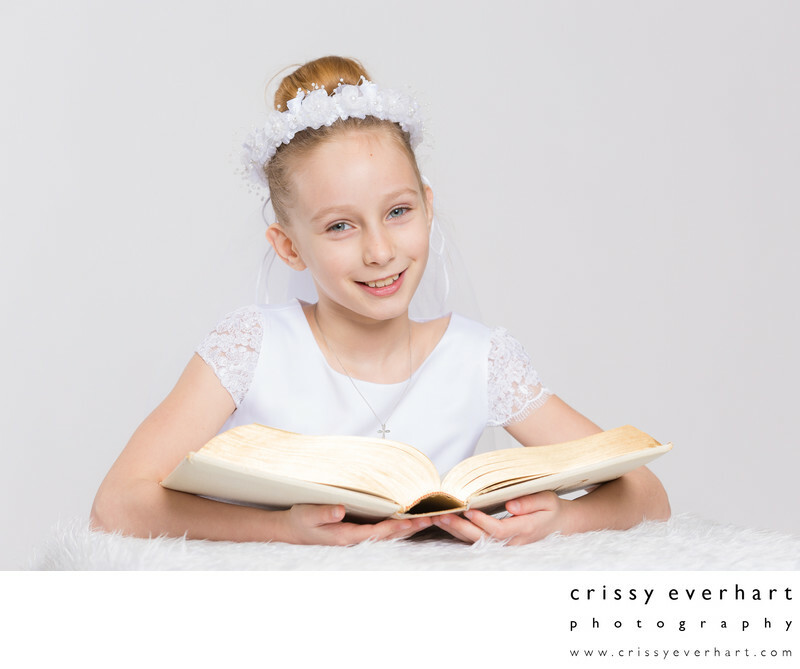 When Catholic children make their First Holy Communion, they often come in for a portrait session. Parents love to remember this proud moment with portraits of their son or daughter in their new communion outfit. I often photograph the child with a Bible, rosary beads, or prayer book / missal. We can do some photos with the new communion dress or suit, and some in "normal" clothes, even with the family! Imagine how happy grandma would be with a photo of her grandson or granddaughter holding the family bible, or a treasured rosary?